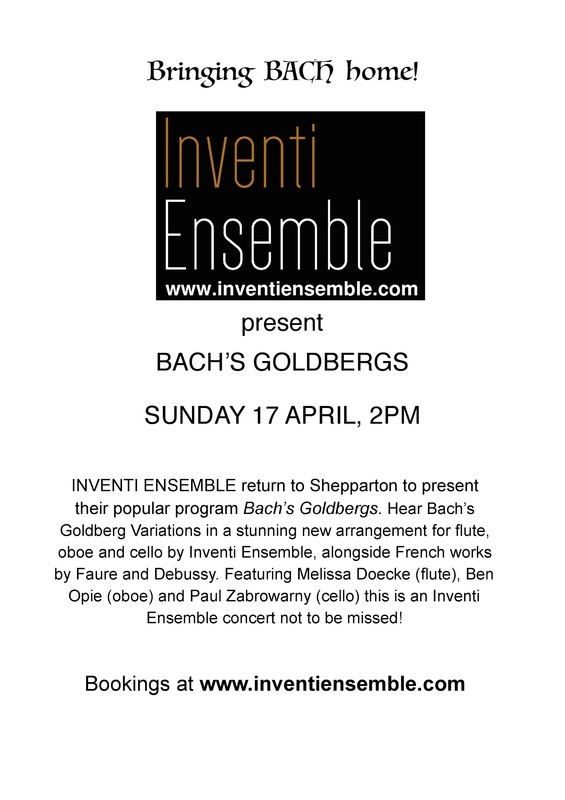 new programme featuring works by Vivaldi, J.S. Bach, Tchaikovsky and Saint-Saens. “Classical music the world over” – this is the motto of the Chamber Philharmonia Cologne. It is irrelevant for our musicians whether they are playing in a little village church, in the open air, in Cologne Cathedral or in the Sydney Opera House - their enthusiasm their to play music is the same every time. 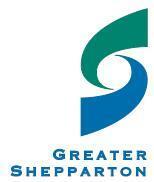 Concerts in the Chapel would like to thank the Greater Shepparton City Council for their support of the 2017 and 2018 program through the Community Arts funding. 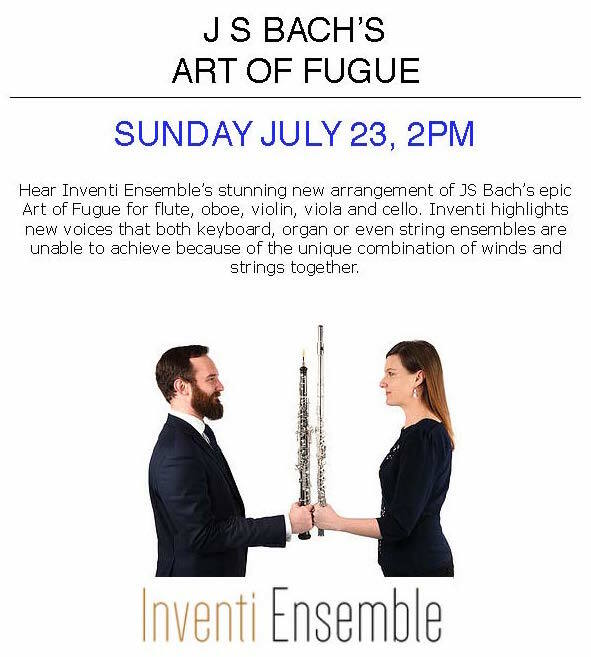 This funding helped enable the Inventi Ensemble to be part of the program. ​​INVENTI WITH PETER DE JAGER - THE FIRST CONCERT! 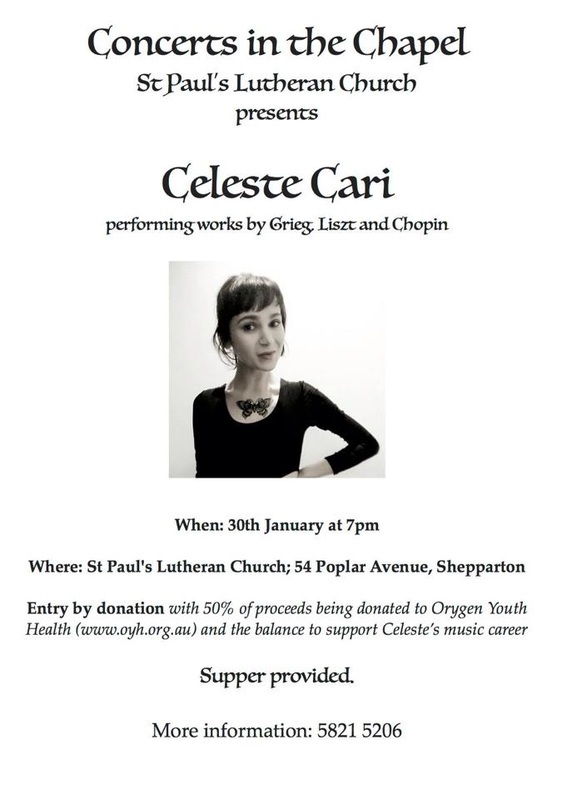 The concert will be held at St Paul's Lutheran Church (54 Poplar Avenue, Shepparton) and as usual, supper will be provided. Hailed as Dazzlingly breathtaking and flamboyantly electrified, this dynamic team has been performing globally. 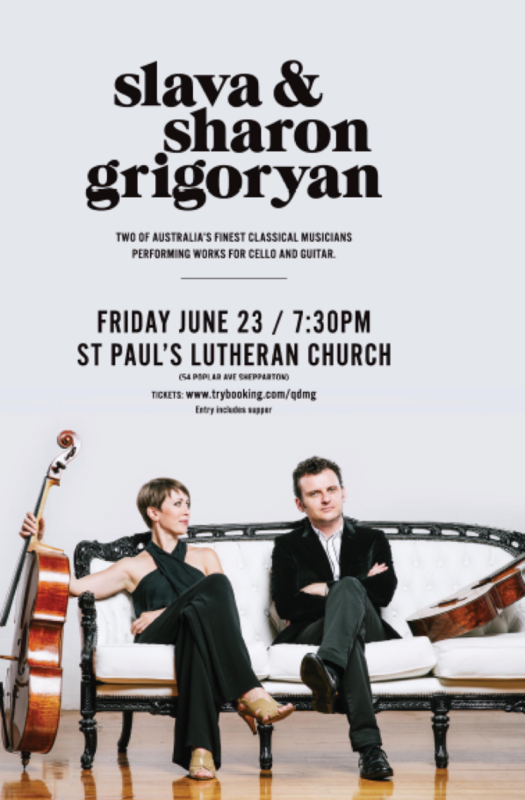 Apart from performing, the artists have been working in the instrumental, theory & aural department at the Griffith University and University of Queensland. They were also guest artists at the University of Newcastle and the University of Tasmania. 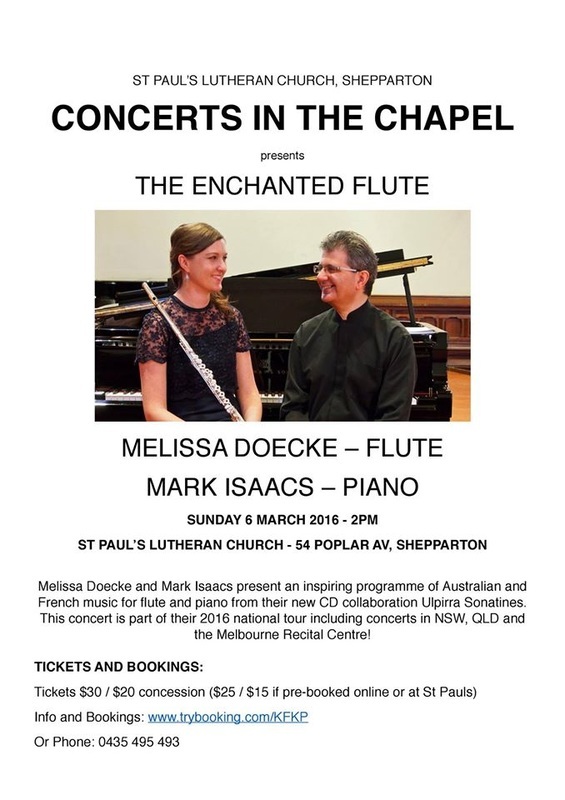 The Australian Piano Duo will be performing works including the Oriental Suite, Taiwanese Folk Suite and Gaverlin Sketches for Piano Duet. ​The discounted price is $15 for adults and $10 for children. Please contact us via email if you have any difficulties with bookings. Please see attached flyer for details of Masterclasses being offered by the performers in conjunction with this concert and we would be very grateful if you could advertise throughout your network. If you would like hard copies of the flyer please reply via email.